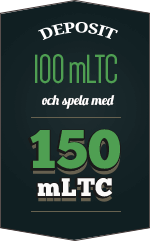 Make your first deposit and we will match it with a 100% bonus up to €100 or 1 BTC. And to keep the fun going, you get 180 FREE SPINS on Boomanji or Fruit Zen or Wolf Gold. First 20 is credited 23 hours after first deposit and then 20 more 24 hours later. This will go on for 9 straight days until you get a total of 180! Here's to fun! On your second deposit at BitStarz, a 50% bonus up to €100 or 1 BTC will be instantly credited to your account. In other words some extra money for you to check out our extensive range of thrilling games. Don't miss out on this incredible offer, make a deposit now! Wait, we still have more in this gift package! 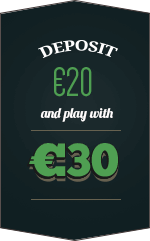 Your third deposit will be rewarded with an instantly credited 50% BONUS up to €200 or 2 BTC. It can't get any better, can it? YES, IT CAN! Here's the icing on the cake. 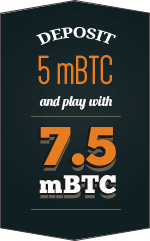 Enjoy another 100% bonus on your fourth deposit up to €100 or 1 BTC, credited instantly to your account! Three days, three bonus deals, and three chances to get your hands on egg-stra cash, what more could you ask for this weekend? The time is now. Last Man Standing – the most competitive BitStarz promotion EVER – is live, as we’re putting €5,000 and the ultimate bragging rights up for grabs. Wager €20 or currency equivalent every day during the campaign to make sure you’re in the hunt to win €5,000 and the title of Last Man Standing! There has never been a better opportunity to play Rook's Revenge than right now at BitStarz. We'll double your win when you land 5 red mask symbols on a horizontal row! The most amazing promotion in the BitStarz universe! Just play more to win unbelievable cash prizes straight to your account! Play all your favorite table games at BitStarz and you can be in to win up to €500 cash every week in the leaderboard style tournament, Table Wars! Every single Monday you get a 50% reload bonus up to €300 / 250 mBTC at BitStarz! Simply make a deposit and it will be automatically added to your account. From now on, EVERY WEDNESDAY is Free Spins day! Simply make a deposit and wager the same amount before midnight to get spins the next day before 16:00 CEST. 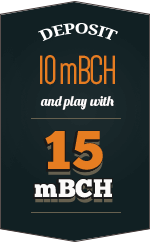 Deposit 8 mBTC or €30 and get 20 spins, deposit €80 or 20 mBTC and get 80 spins, or deposit €160 or 40 mBTC to get a whopping 200 spins!